These images are reposted from Designer Amy Henderson's blog and the article seems relevant and inspiring having just been to see a wonderful visual arts publisher in London's East End yesterday who are going to help us out by embossing the Marwood logo on to the vintage leather case (not as easy a task as it sounds). Their workshop/studio works with artists mainly and they publish beautifully crafted books and boxes in the majority, yet it sounds like they take on many other exciting and innovative projects in this realm. Their work was of the same ilk as the Marwood vintage suitcase in terms of the time, patience and attentive skill needed to create such things... and when you go in search of these objects or the people behind them, you realise how hard they are to find. Close to an impossible task if it wasn't for a serendipidous encounter with a talented man called Asif Khan - many thanks for the tip off! Amy: "The creator of one of the most extravagant and innovative magazines ever published, Fleur Cowles, died in 2009 at the age of 101. 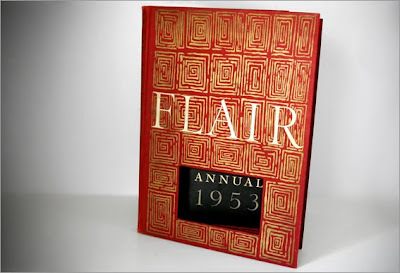 FLAIR, her short-lived publication designed for the elite, had a lifespan of only 12 issues from February 1950 to January 1951. 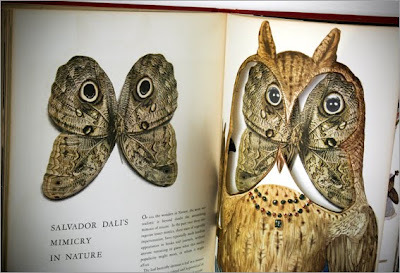 It was simply too costly to produce with its incorporation of diecuts, fold-outs, pop-ups, removable reproductions of artworks and variety of paper stocks even though it sold for 50 cents when Time and Life were selling for 20 cents." 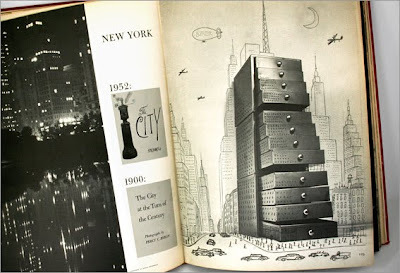 Amy: "Above is a cropping of a full page illustration spread from this “London May 1, 1851 vs. London May 3, 1951″ feature. Illustrator Leonard Rosoman was at that time an art teacher at Edinburgh University. 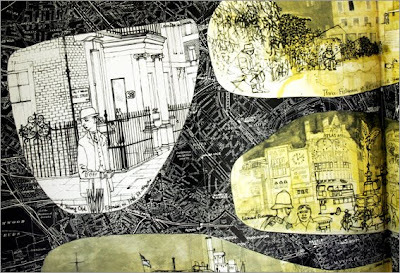 He added illustrations of characteristic city sights to his own, personally annotated map of London." Thanks to another tip from a friend, Leonard Rosoman also has some paintings at the National Portrait Gallery - next on the list of places to go, especially after finding this illustration.